I have a roundup review of the Affiliate Marketing courses I have done, and I will choose the one I think is best. Read here to know what is the best affiliate marketing course out there in 2019. Wealthy Affiliate is a membership site that offers free starter membership and premium membership. You gain access to excellent training with clear action steps on how to proceed. There is also up to 12 classrooms with a lot of content and knowledge if you want to know more or ask questions regarding a particular topic. You can also build two free websites or 50 websites with a premium membership. You also gain access to the tools you need for your daily tasks as an affiliate marketer. To be together with like-minded people is very important. To engage with others at Wealthy Affiliate, you gain courage instead of fear if the closest people in your life don't believe in this business. And I'm sorry to say that most people don't think this will work. The free membership gives you two free website and access to basic training and access to the community. The first seven days you also have access to the live chat. You have enough time to test if this is something for you. Excellent training with clear instructions. You can also ask questions below the training. The community is the best. I don't think there is something out there that can beat Wealthy Affiliate in this. The live chat is addictive so be aware. Weekly webinars with focus on different topics regarding Affiliate Marketing. Access to the founders of Wealthy Affiliate. This is a membership site where everyone can contribute with information. The members are at different level regarding knowledge, and not everything is correct. You need to filter the member provided content like everything else you read on the internet. The official content by Wealthy Affiliate is accurate. 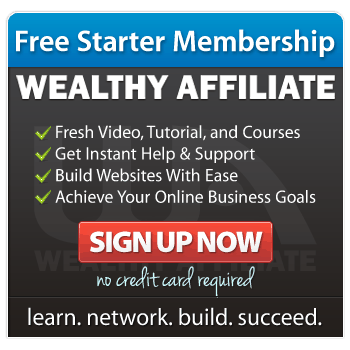 Click the big orange button for more information about Wealthy Affiliate. Savage Affiliates by Franklin Hatchett is an excellent course to an affordable price. The value you receive is enormous. You learn all the basics to get going. 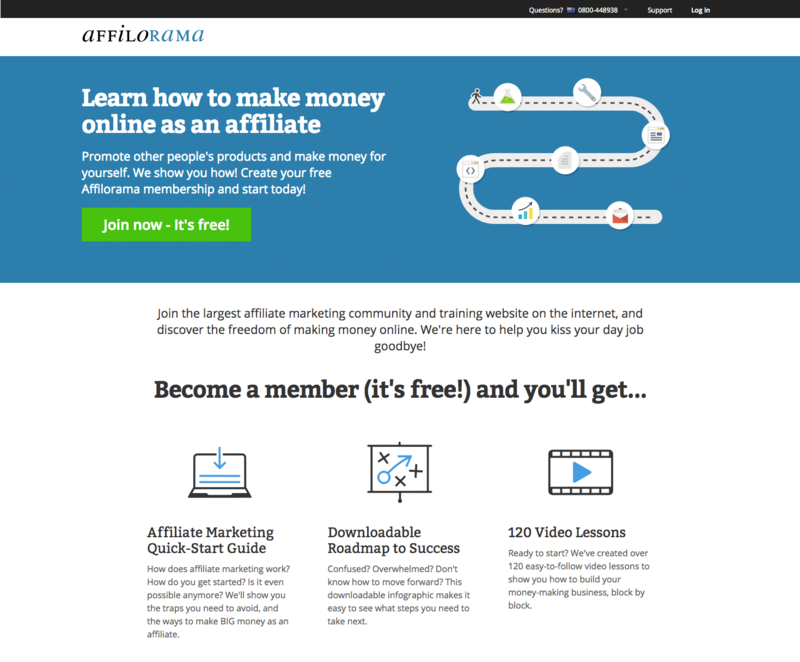 Then Franklin teaches you how to do affiliate marketing with Amazon, Clickbank, and other affiliate sites. You learn the basic like how to make a wordpress site and witch plugins to use. Very good explained and with good structure. You learn that is difference between Amazon affiliate site and clickbank type site. You learn the difference about sites based on paid traffic or SEO sites. There is no step by step pdf file or summary. Click the big orange button for more information about Savage Affiliates. Affilorama is a membership site where you gain access to free training, paid courses, tools, and a community. The free membership gives you access to 120 videos with transcript and clear instructions on how to go forward. If you want more training than the free videos, they offer you three paid courses with different intent and outcome. With Affilorama you gain access to their forum where you can engage with others. Ask a question, and you will always receive an answer. With Affilorama you also receive tools where you have multiple membership levels from free to more advanced uses. With the tools you can do keyword research, monitor keyword rank, maintain your social media and much more. If you join Affilorama, you can test it out for free. If you like what you see, you can choose to pay for more advanced training and tools. I love that I'm more free to decide what I want. Their paid courses are very good with clear actions on how to proceed forward. You have training, community and your tools you use daily in one place. Everything you need at one place is nice. Not all the free training videos are up to date. The community could be more active, but you will at least receive an answer to your questions. Click the big orange button for more information about Affilorama. This course by Micheal Cheney is about making commission machines. You can use the "machines" in many ways, but what will use it is in email marketing. Here you learn how to promote or sell products in an effective way. Mr. Cheney's main point is to email every day and uses storytelling in an amusing way where you offer a product at the end. Since the product is somewhat cheap, you will be presented upsells that is mainly done for your material. The upsell is not something you need but is a timesaver. You learn how to sell and promote products. The most important skill you can learn. You learn how to do email marketing that is also an essential skill. Not the most beginner friendly course I have seen. If you want to use it in email marketing, you need to know how to build landing pages and setup email software. The free promotion technique without website works, but like everything else that is free, this requires much work and time. Click the big orange button for more information about The Commission Machine. 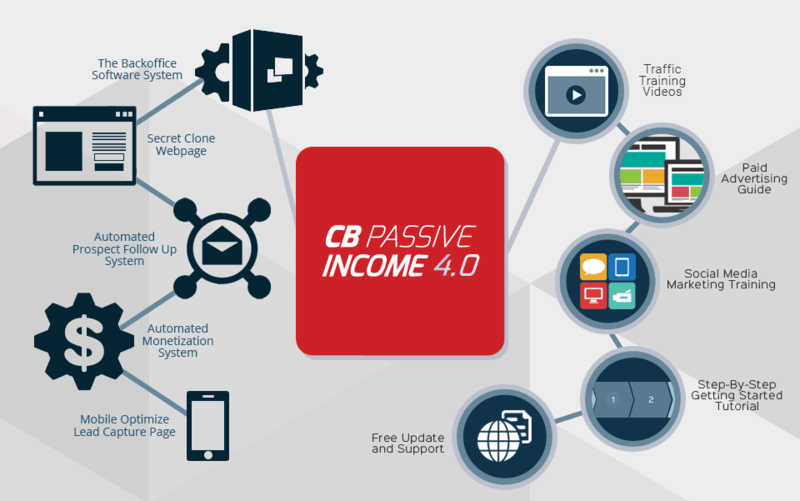 CB Passive Income is a favorite product found on Clickbank. You receive free hosting with a landing page template for you to customize. You receive training on how to use this program and how to gain visitors that you want to convert to email subscribers. You receive free reports you can use as a giveaway to people to gain their email address. CB Passive Income will then send them email promotions, and you receive the commission from the affiliate sale. 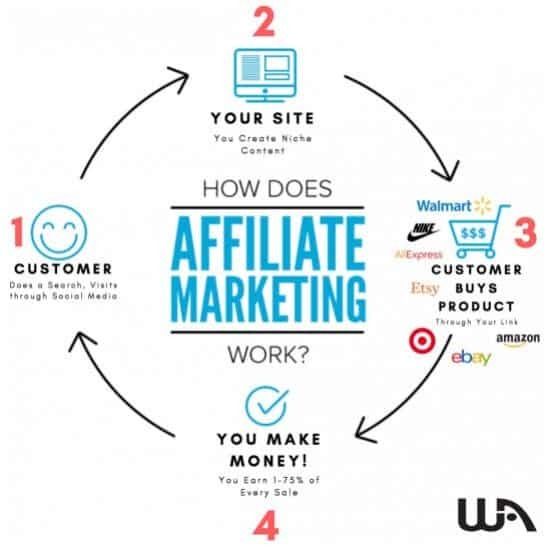 In the end, you will receive everything you need to start your affiliate business, but you need to do the marketing of the landing page yourself. This course is a very beginner friendly method to start your path to online income since you don't need to do everything. When you want to scale your business, you can build new sites on other hosts where you need to learn what CB Passive Income has done for you. But now you have learned and managed how to gain visitors and convert them. You don't need computer skills or even design skills. CB Passive income will take care of email marketing and most of the design​ for you. Your subscriber list will not be accessible before you do a upsell. This is a done for your program. You are limited in customization, but you save a lot of time. I have now made a short presentation of all the Affiliate Marketing courses I have reviewed with some good and bad stuff about them all. Now is the time to give you a winner. Which course is the best? And will provide you with the most for your money? And the one I would choose if I started all over again. You receive the most for your money. The community is the best out there. You receive everything you need from tools to hosting and training to start your path to online income.